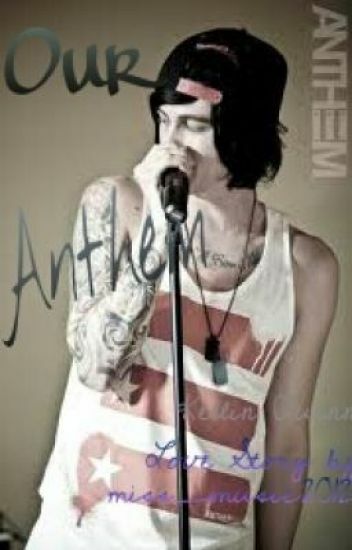 " is that k-k-kellin Quinn! " a girl behind me screamed. I turn around to see a tall, beautiful young man standing in front of me.
" hi I'm kellin Quinn from sleeping with sirens are u here to see my show tonight" he said. I stood there waiting for the girls behind me to reply until I realised he was talking to me.
" ummm yes i am" I stuttered out blushing. Of the line of screaming girls. everything seems to start to get better. He is still in sleeping with sirens with the same success as he has now. Other members of sleeping with sirens and ptv r in this story aswell. Rayleigh Matthews is starting new. New home, new school, new people, new love interest? Kellin Quinn, the schools baseball team captain, hangs with the popular crowd, popular girlfriend he has it all, along with his fair share of dark secrets. When Rayleigh and Kellin cross paths will she trust him enough to catch her when she falls, will Kellin trust her with his dirty little secret? Will she trust him with hers?